Go on a Summer Scavenger Hunt! Scavenger hunts are not only fun, they’re educational, too. Get creative and develop your own ideas, or modify any of these to make it fit for your local area and the age of your child. This is also a great idea for picnics or family reunions where there are teams working together, and for road trips when you need to pass the time. Mix things up and provide some more difficult items for tweens and teens and easier items for younger children so they don’t lose interest. To make the game a bit easier for younger children, especially those that can’t read yet, gather the items ahead of time and take a picture of each one. You can then put all the pictures together on a printed sheet of paper or on individual cards. Give the children each a basket and let them take off! Another variation (for older children) if you don’t want children disturbing nature, or want to include items that can’t be “picked up” is to have them use their cell phone or give them an inexpensive digital camera to snap a picture as they locate the items. 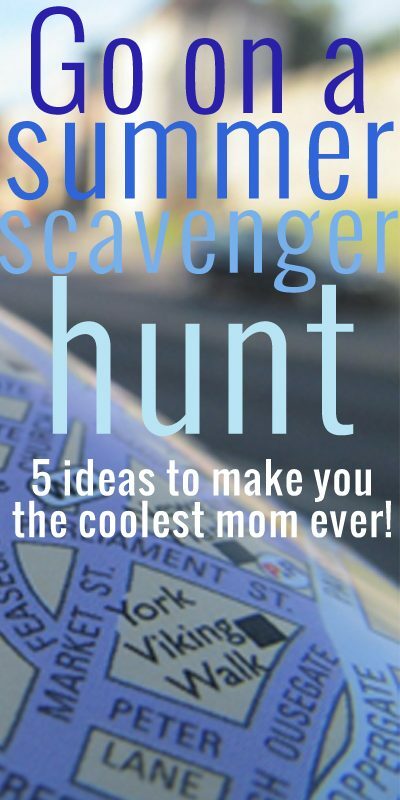 This is a great idea for beginning readers or teens who might be a little too cool for a regular scavenger hunt. While driving around town, try to spot different business logos (like McDonald’s or stores in the mall). Take pictures with cell phones or have a separate checklist for them to cross off each logo as they see it. If children aren’t quite reading yet but are learning number recognition a number scavenger hunt is a fun idea. All you need is some colored paper and a pen to get started. Cut colored paper into pieces and write numbers on them from 1-10. Hide them around your yard or house, like an Easter egg hunt. Once the children find all of the numbers, have them match them to a sheet of paper that you’ve written all of the numbers on. This will really flex creative muscles! Children can search around the house, park, or public space for items that begin with (or simply have) each letter of the alphabet in them. Items can be either retrieved or recorded. Treasure hunts can easily be scaled up or down depending on age and ability level. Draw a map (or use something like a park map – or even city map) and mark the locations on the map where they can find items. You will need to go ahead of time and place the items for them to find. Make it even more difficult by not revealing the clue to the 2nd item until they find the first item. This game could be set up for teams working with two different sets of maps. At the end they discover the final treasure (maybe an ice cream shop?). Scavenger hunts can provide hours of fun for kids of all ages. If you have a variety of ages present let them work in teams or have the older children create a scavenger hunt for the younger children! Have you ever hosted a summer scavenger hunt? We also use scavenger hunts to make present opening last a little longer! Hi Becca – just found you through SITS. I’m a brand new blogger and found your top ten things to do in the first 6 months very helpful. I also have two teenage boys so I’m glad to find someone else writing about teens! I’ll be back to read more. Have a great week.